The pros were racing a 4.5 mile prologue time trial that overlapped with part of the circuit race course that I’ll be racing tomorrow. Fast and flat, the results showed a lot of people including Matt Winstead, within 20 seconds of the lead. Check out the results. This entry was posted in Misc, Training and tagged Racing, route, Training, urban on August 1, 2008 by kartoone. Hey, Elk Grove is where I was born! 🙂 I grew up in Schaumburg, though. That’s cool! 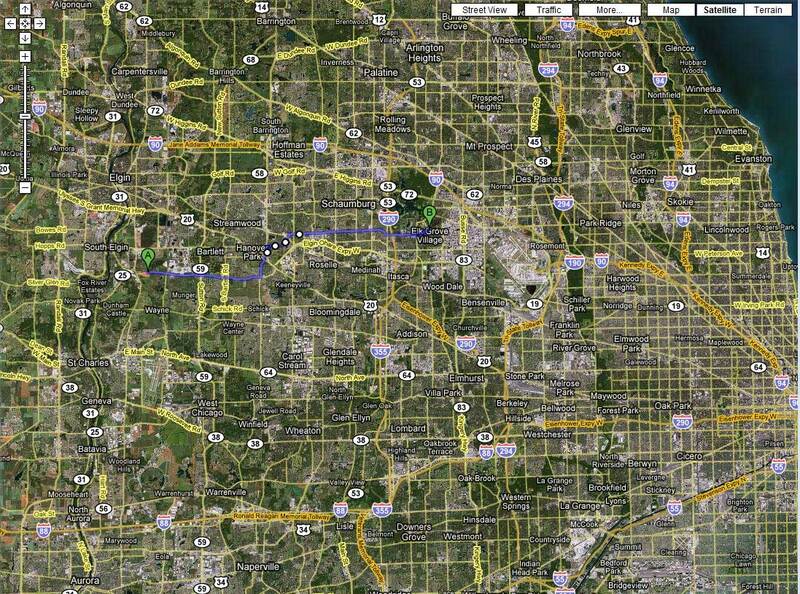 I biked right through part of Schaumburg yesterday and then we drove through it today to take the scenic route and avoid the tollways on the way to the race.